This is a SUPER offer from TOTALLY CALCIUM and one that you should take advantage of because it won't last for long, you must hurry while stocks last. When you're struggling to make ends meet the first thing to go is health supplements, fortunately, with this offer you can top up your calcium without breaking the bank. 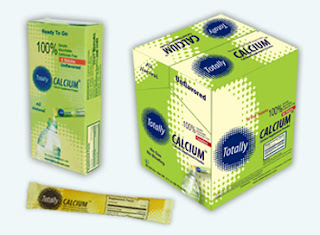 Totally Calcium is offering free samples of their Calcium Drink Mix. All you have to do is head on over to the Totally Calcium website and request your samples. The form takes a few minutes to fill out and you should receive your items within 4 to 6 weeks. This is one offer you should take advantage of. You can find out more at the following LINK. Feel free to share this offer with other people who want to feel great, as I always like to say - Share the Love.